Home / Car News / 3 BIGGEST Winners from Tata Motors to beat Honda! Indian multinational autocar manufacturing company, Tata Motors Limited, has made a great achievement in the 2017. It has consistently outsold Honda in India. Now, Tata’s market share goes up into the fourth place in Indian car market – just behind Mahindra. Especially, during the second half of the year. It has generated Rs 2.697 trillion revenue and achieved Rs 7,454.88 crore profits in 2017. We may ask the same question: “How come?” What’s their secret recipe? What I’m going to tell you is a “secret”. Here are the 3 biggest winners from Tata Motors to Beat Honda! 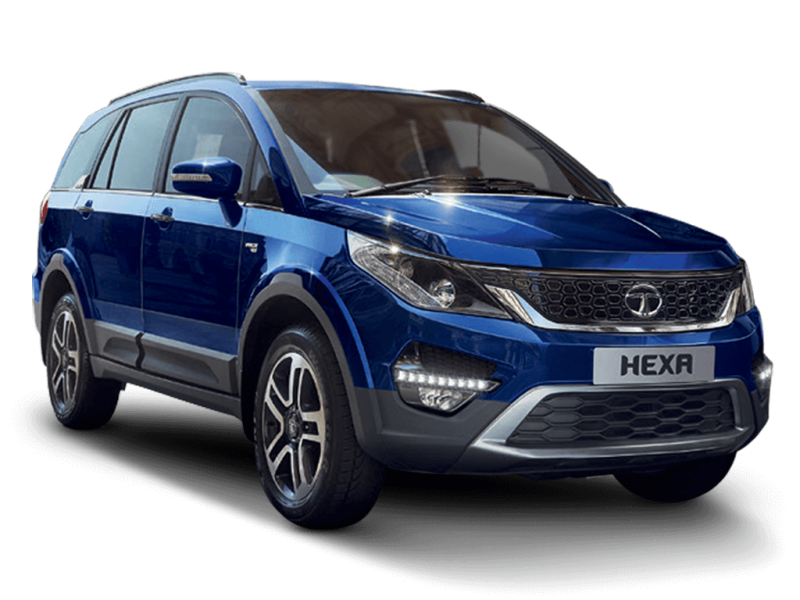 Tata Hexa, is the first biggest winner from Tata Motors. The recipe is its: PERSISTENCE. We all know that at first innings, Hexa (or Aria at that time) was a disaster. The failure didn’t stop Tata. Tata then re-engineered and restyled Aria and turn it into Tata Hexa. The result? Tata Hexa now has sold a steady number of 1,200 units every month. You know what? It is MORE than 10X that of what Aria managed! See? Persistence pays off! What if Tata stop after its first failure? They don’t enjoy the big revenue from Tata Hexa. In fact, the Hexa sales rate has gone neck and neck with Mahindra XUV500 in 2017. Tata gives many things for its flagship SUV. It has imposing street presence, spacious interiors, butch looks, powerful performance, and most important is a higher value-for-money. This Aria “reincarnation” is sold with a 2.2 litre turbo diesel engine. It comes with two states of tune. The first one is capable to produce 148 Bhp – 320 Nm max torque. The other one can churn power up to 156 Bhp and 400 Nm max of torque. With the lower state of tune, one gets a five speed manual gearbox. While the more powerful engine gets 6 speed automatic and manual gearbox. It also gets a 4WD option. 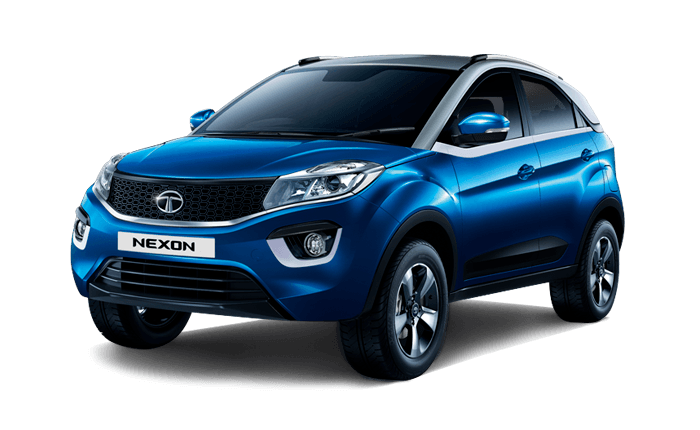 The next biggest winner from Tata Motors is Tata Nexon. Tata Nexon comes with two engine options offer. The 1.5 litre turbo diesel motor produces 108 Bhp-260 Nm. The other one is a 1.2 litre turbocharged petrol engine that is able to generate 108 Bhp-170 Nm. Both of them get 6 speed manual transmissions. But, Tata realize that market is waiting for the AMT variant. That’s why they will launch it soon. Tata Nexon is now priced at Rs 5.85 lakhs. It makes the compact SUV which undercuts every other sub-4 meter SUV in the segment. It is Tata Motor’s latest launch. The Nexon compact SUV has became powerful marketing guns for Tata. It outsold the ford EcoSport last month, December 2017. It becomes India’s second best selling sub-4 meter compact SUV. Just behind the Maruti Vitara Brezza. The sales forecast state that the sales point will settle at a consistent 4,000 units per month. It may get “sales spike” when the additional variants with AMT options is offered. We may call it the “final biggest winner from Tata Motors” to beat Honda in India. Imagine this. Since its launch in April 2016, it means two years ago, the Tiago has been a best-selling car. It helps Tata Motor to register good numbers, consistently. Day after day, week after week, and month after month. On an average, the India manufacturing company has shipped 5,000 units every month across India. By these consistent sales numbers, it has allowed Tata to make a “turn around” in the passenger car business. Till today, Tata Motors has sold over 1.1 lakh units all over India. As you know, it comes with 1.2 litre petrol and 1.1 litre turbo diesel motors. Both of them get a 5 speed manual gearbox as standard. But, the petrol motor also gets an AMT offering. It’s biggest strength is the value-for-money. It offers A LOT MORE benefits than competitors, at a MUCH LOWER price tag. With all of its technology, feature, and specifications, its priced starts from as low as Rs 3.21 lakh! I mean, do Tata Motor’s generate enough profit from Tiago? I assume that this is Tata Motor’s marketing strategy. They put Tiago as a “market penetrator”. They don’t hope much profit, but big revenue and market share. The brand awareness will also increase. In the long run, this strategy will hugely benefit Tata Motors. This year, Tata Motors will launch a sporty version of this best selling hatchback. Let’s wait for it, perhaps for the 2018 Auto Expo few days away. The name will be the Tiago Sport. It will borrow the Nexon’s 1.2 litre turbo petrol engine making up to 108 Bhp – 170 Nm. 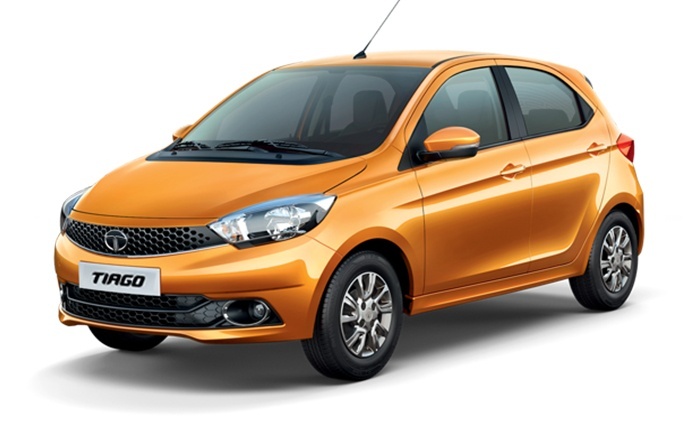 With an expected price tag of under Rs 6 lakhs, the Tiago Sport will be the cheapest hot hatchback sold in India. The price will greatly undercut the Ford Figo S.
The 3 “biggest winner from Tata Motors” that make it great again. Also read: Tata Tigor vs Tiago- Detailed Comparison of price, specs, mileage, dimensions, design etc.